When I was 21 and planning my first trip to Paris I recall many people telling me just how rude Parisians were. That was the common opinion 10 years ago. I never did experience a rude Parisian that trip or ever for that matter! 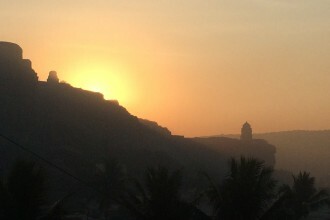 After that first trip I was hooked and now regularly visit the city of lights and romance. These are the things I love to do in Paris and the things you must do when visiting Paris. Today most who have been to Paris would agree, the nouveau Parisian is polite, helpful and willing to speak English- just have some sense and adapt with a few words here and there and you’ll blend in like a local! You will eat the best cheese and drink the best wine of your entire life in Paris. Cafe culture is a huge part of the Parisian lifestyle, alfresco cafés litter the sidewalks with chairs and tables crammed closely together. Keep in mind that smoking is still common in Paris and as mentioned many cafes can be cramped, so if you’re big on personal space it may not be for you. Personally, I love Parisian cafes as I always meet interesting people willing to have a chat. I find cafes a good starting point and insight into local life. 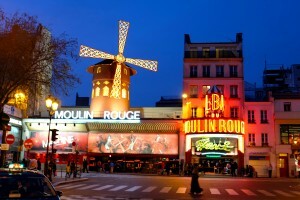 For a good taste of true Parisian cafe culture, be sure to visit my fave place in Paris, Montmartre. Montmartre, located on the Right Bank in the 18th Arrondissement, is known as the ‘Artist Quarter’ in Paris and is an ideal way to spend an entire afternoon wondering around browsing artwork and galleries, people watching and sipping coffee, truely adopting the Parisian way of life. Montmartre is a great place to view the entire city. The Sacre-Coeur ‘Sacred Heart’, which is the huge white church offers views over the entire city of Paris. 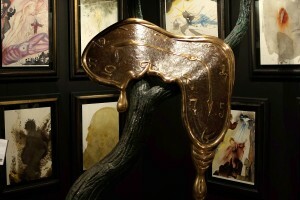 On my last trip to Paris I came across Espace Dali, a Salvator Dali museum in Montmartre. 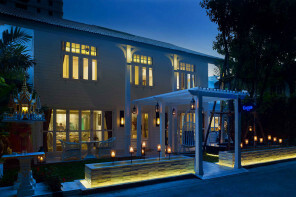 The museum showcases some of Dali’s most famous original artworks and sculptures. The image below is me next to the original sculpture, ‘The Snail and the Angel’. Espace Dali is a must for Dali lovers! You will have no language barriers in France most people speak good English. Getting around and ordering food will be a breeze, just make sure that you know the basics and use French before English…you’re in France! Locals will be able to tell you are visiting and will assist you. Being polite goes a long way when you travel. I’ve never met a rude French person in over six visits to France, either it’s a stereotype or I had the sense to learn a few words! You wont leave Paris without taking a snap of the magnificent Eiffel Tower. 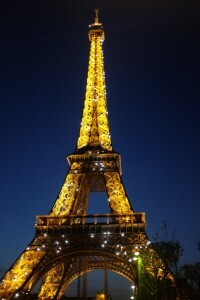 The Paris landmark is arguably the most famous in the world and is one of my personal favorites! She is beautiful from any angle, however the best places to photograph the Eiffel Tower is at the Trocadero. The Trocadero which was named after some battle (google it if you’re interested) is also home to a palace- google that too is you want as I have never visited and I am not really that interested in visiting it. I like the Trocadero as it’s a large platform where you can view the Eiffel Tower. It’s the absolute best place for the full Eiffel Tower. As for going up the Eiffel Tower, there is nothing that you can see from the Eiffel Tower that you cannot from Montmartre the best views in Paris are actually looking at the Eiffel Tower from the Trocadero or from the River Seine. If you want to join the droves of tourists going up the Eiffel Tower suit yourself, personally I would rather spend my time taking in the exceptional Parisian wines and delicacies than standing in a line to go up a tower! I do admit I have been up there, but only so you don’t have to. Rather than going up the tower with the rest of the tourists, I recommend eating at Alain Ducasse’s, Le Jules Verne restaurant on the tower’s second floor (3-course lunch, €98; dinner, €185). Along with gorgeous views, you’ll dine in splendor and arrive like a VIP on a dedicated lift. At least then you can say you have been in the Eiffel Tower and you dined in there! 2. Explore Montmartre. Montmartre as mentioned earlier is the ‘artist village’ of Paris with a great history and Parisian cafe culture. 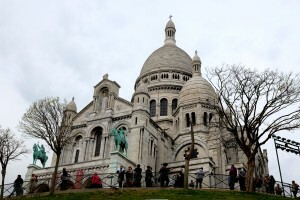 The Sacre Coeur sits above Montmartre and is worth to visit the area alone. The views over Paris from the hill are spectacular. 3. Eat in a Michelin Star restaurant. France is world renowned for haute cuisine, with some of the finest michelin star restaurants in the world. 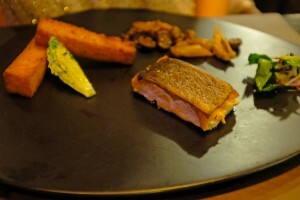 If you’re on a budget opt for something in the michelin guide – always great recommendations. 4. Shopping on the Champs-Élysées, a boulevard in the 8th arrondissement of Paris that’s 1.9 kilometres of pure retail heaven. Luxury brands made in France are generally better-priced than in other countries. 6. Visit the Louvre, the world’s largest museum and a historic monument in Paris. The glass pyramid outside has been made famous by many movies. You can’t visit Paris without seeing the great works of some of the most famous artists like Leonardo De’Vinci’s The Mona Lisa. Even if you’re not into museums go in and breeze straight to the famous works to take a look. The Louvre is located on the right Bank of the Seine, in the 1st arrondissement it’s very central and a great starting point for a day of sight-seeing in Paris. 7. Explore Le Marais located in the hip and new ‘in arrondissement’ of the 3rd and 4th- is the new epicenter of cool with hip boutiques, designer hotels, and art galleries galore; and the hub of Paris’s gay community. You could easily spend your entire visit to Paris in this neighborhood, its gone from shabby to chic and has some of the best bistros in Paris. 8. Feel like a royal and visit Versailles, the most famous Palace of France, and probably the world, 20 km (12 miles) out of Paris. 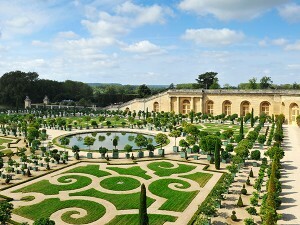 Versailles was a country village; today, however, it is a wealthy suburb and worth the trip to check out. 9. Musée d’Orsay – Housed under one of Paris’s grand old Beaux-Arts railway stations, the recently renovated galleries of the Musée d’Orsay contain the world’s largest collection of Impressionist masterpieces by the likes of Cézanne, Monet, Manet, Van Gogh, Degas, Gaugin, and many others. With two excellent cafés and a magnificent restaurant original to the train station- very easy to spend a day here. You can visit Musée d’Orsay by boat as one of the tour boats stops there, which bring me to number 10. 10. Take a boat down the River Seine – there’s nothing quite like seeing Paris from a boat on the River Seine. See Paris’s graceful bridges up close along with the city’s most famous landmarks on a relaxing two to four hour boat ride. The bateaux mouches offer everything from a gourmet meal with champagne, if you’re you not interested in dining, for 15€ you can hop on or off wherever and whenever you like all day long. Stops include the Musée d’Orsay, Louvre, Eiffel Tour, Champs Elysées, and Saint-Germain-des-Prés. I hope you’ve found this post on Paris useful and enjoy the things I love to do in Paris! If you would like to add anything to this list let me know! If you love this post please like and share below. Very useful tips for travelers, thank you! Loved your Budapest articale, and here is my comment on France/Paris.In the small office on the top of the Eiffel tower there is a picture of a train station of Budapest build by the Eiffel company, also he build the central market in BP . I don’t know if you had a chance to see it or not. In Paris I had only good experience zero rudeness, always helpful people, hack we even invited to party’s by total strangers. I leased a brand new car for 30 days and drove it to Budapest, zero issues on highways, I remember in small towns shopkeeper walk us out to the intersection to show the right direction. Or the chefs walked to our table just for a talk mentioning his going to work in Los Angeles. I think how you behave, you will get always normal response.